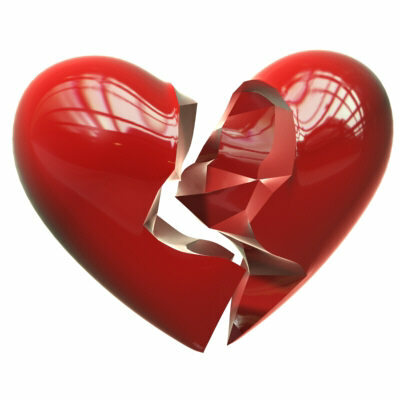 When we hear the words “broken heart,” we often think of a relationship that’s been broken, and it’s usually in reference to the person who’s been wronged in the relationship. For example if a husband cheats on his wife, it’s the wife’s heart that is broken, not the other way around. But what if the offender’s heart broke instead? When David sinned with Bathsheba, he penned one of the most heart-wrenching Psalms in the Bible. Psalm 51 is a desperate cry for forgiveness, not to Bathsheba’s father Eliam, who was one of David’s mighty men who spent years living in a cave; nor to Uriah the Hittite’s family, another might man who lived with David for years and had been given a house near the castle; nor to the other mighty men, David’s friends who were surely shocked to learn David had their mutual friend Uriah killed; but David desperately pleaded for forgiveness from God. Read the rest of the article in today's Proverbs and Wisdom. I haven't thought of "the beauty of a broken heart" in relation to this story from David's life, but it does fit. From this sad episode came some of his most powerful writing, and it has soothed many other broken hearts through the years. Great post. YourBibleSource.com is back up and running, Thank you for your support! !